These DIY Light Bulb Crafts Ornaments are an easy ombre crafts project. 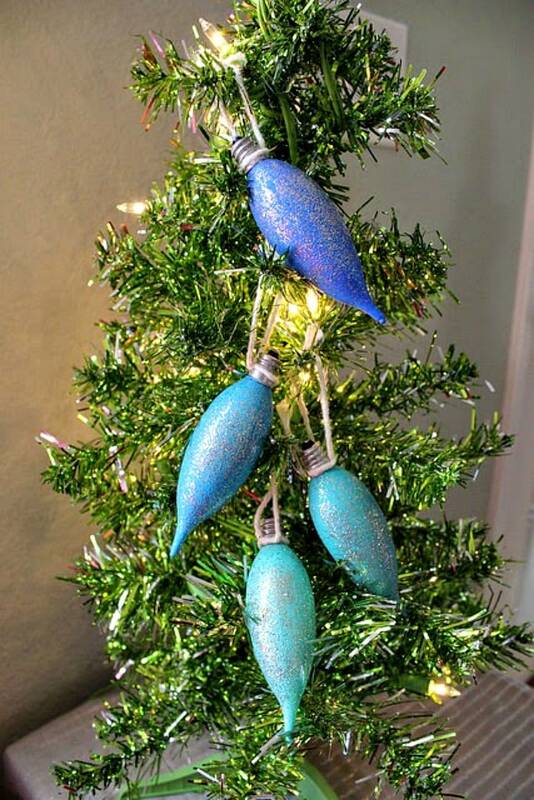 Make light Bulb ornaments by recycling old Christmas light bulbs in an afternoon. I am so happy to introduce you to Melissa who is a professional crafter and blogger at Shoestring Mag. and also works for Home Depot. She is sharing a great post today for this holiday season! There are a million ways to go over budget during the holiday season, but trimming your tree should never be one of them, especially when you can use this DIY tutorial to turn old light bulbs into unique, one-of-a-kind family heirlooms! Everything “ombre” – a gradient effect of various shades of a single color from dark to light – has been really popular in design for the past few years, so I decided to use craft paint in four different shades of blue as the base color for my set of four light bulb ornaments. By adding fine glitter and unbleached baker’s twine, I bought these simple glass light bulbs from the recycling bin to Pinterest reuse gold. Any shape of light bulb will work, but I really liked the chandelier/candelabra shaped light bulbs with their best tips to mix and match and drop in between branches with my existing collection of round ornaments. 2. 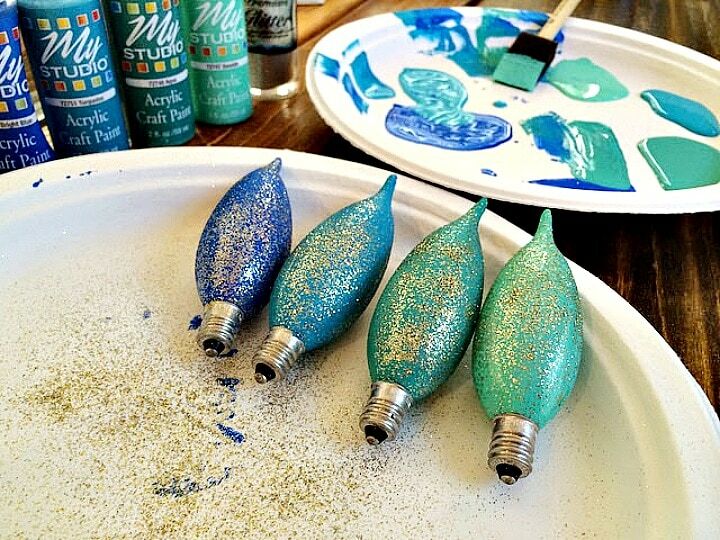 Next, using a sponge brush, paint one of your ornaments in the darkest shade of color, working from the metal light bulb base to the tip. When the entire light bulb is covered evenly, sprinkle glitter to your desired coating all the way around. 3. Then, while still holding the metal light bulb base between your fingers, dry your ornament with a paint dryer or hair dryer on high heat. Hold about six inches away from your light bulb and rotate to dry evenly, for about 30 seconds. 4. Lastly, when your light bulb ornament is completely dry, knot a 6″ to 8″ length of jute string (or any other string or yarn that you like) around the metal base of the light bulb, knotting once – and tightly. Then knot the other end to create an ornament loop, and voila! 5. Repeat with additional light bulbs with your lighter shades, together creating the ombre craft effect when they are hung from the tree. 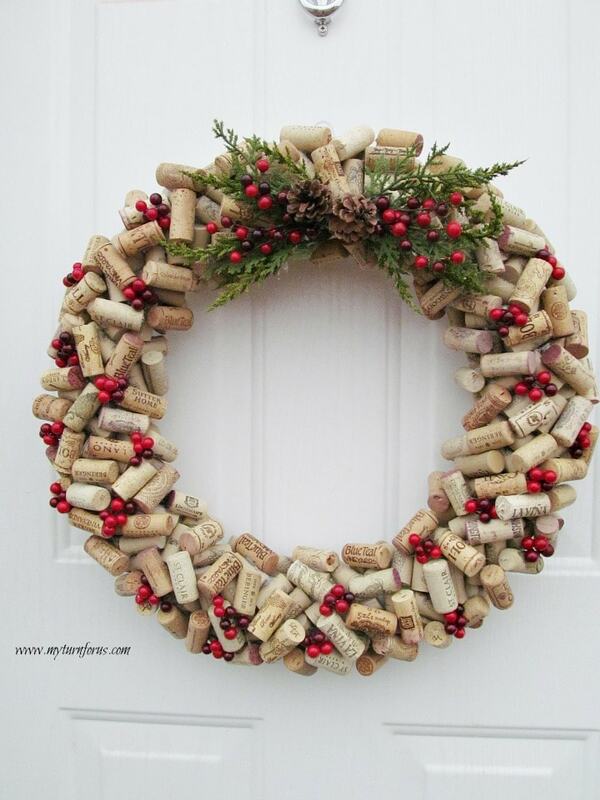 Melissa Massello creates awesome DIY upcycled Christmas projects and shares her experiences with The Home Depot. Thanks so much, Melissa for stopping in and sharing these ideas with us. Oh.my.goodness! How adorable are these! I am definitely doing with my nieces! I love these!! 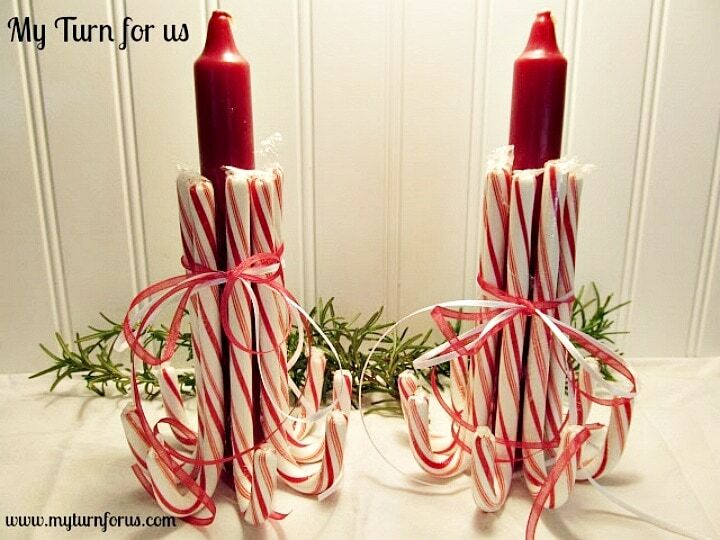 Sharing on my FB today… wish I had some bulbs like this to make these right now! !